85% of all plumbing problems are due to a lack of regular maintenance. Join our Diamond Club, save 15% OFF service and gain some peace of mind. We know it’s frustrating when you need service. It seems like plumbing problems happen at the most inconvenient time. But not to worry! Here’s how you can easily and conveniently get your problem fixed. About 62% of the time, our factory trained technicians can get your hot water back on without replacing your gas or electric water heater. If you do need a new water heater, we normally have it installed in less than two hours, saving you time and money. A dripping faucet is annoying and probably has been for weeks. A leak in a hidden pipe can be a nightmare. Our experts use their years of training to minimize your cost and fix your leak the first time. If your disposal is jammed, won’t run, or if you're just in need of replacement, the expert plumbers at Atlanta Star Plumbing can solve your problem. If your toilet is “gurgling”, leaking water into your floor or ceiling, your water bill is too high or even if you have one of those ‘water saver’ toilets which require double flushing and lots of plunging – Atlanta Star Plumbing can quickly and economically solve your problem. Blocked sewers are usually one of two problems. Either you have a broken line or tree roots. Atlanta Star Plumbing is the only company in the Atlanta area that has Drain Vision. This unique machine allows us to find your real problem quickly and virtually eliminates call-backs. At Atlanta Star Plumbing, we know plumbing and are dedicated to providing every customer with top quality service at competitive prices. We will resolve all of your plumbing needs with our 100% Satisfaction Guarantee! If you are not completely satisfied with an installation or service repair job that we have done, we will come back and do the work again for FREE! 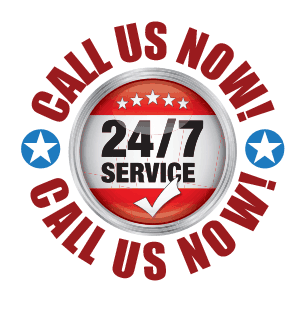 Proudly serving the Atlanta Metro area since 1997! Please mention coupon when making your appointment. Not redeemable on service fee. One coupon per visit. Please mention coupon when making your appointment. Offers cannot be combined. Proudly Serving Atlanta, Smyrna, Powder Springs, Austell, Vinings, Marietta, Woodstock, Acworth, Sandy Springs, Dunwoody, Roswell, Kennesaw and Alpharetta, GA.